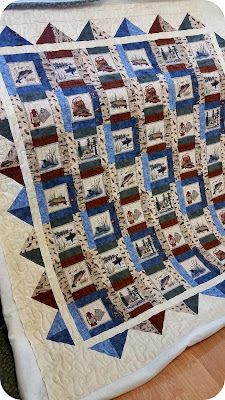 We are crazy busy in the studio lately. 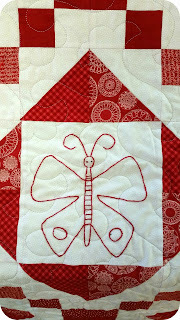 It's always good news to be busy but bad news that I don't have time to finish anything of my own lol. 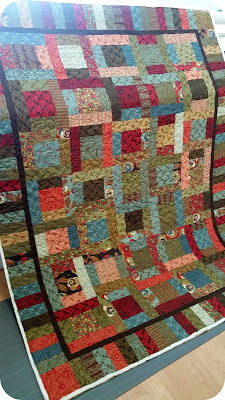 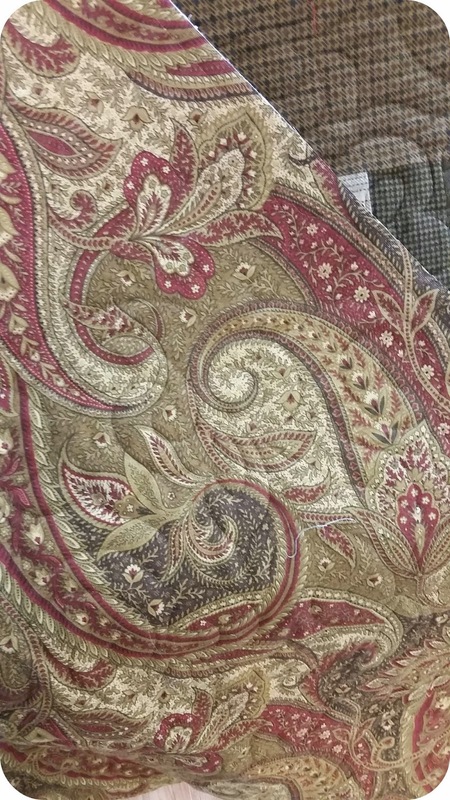 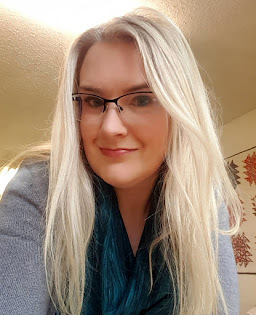 I do have a little something that I finished to show you but I took it to work hoping that I could find a few minutes to get it quilted and forgot to get a picture so you will have to wait to see that. 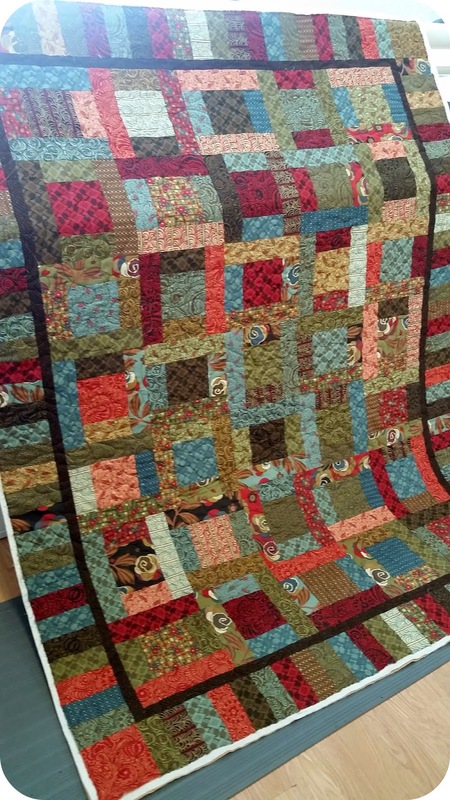 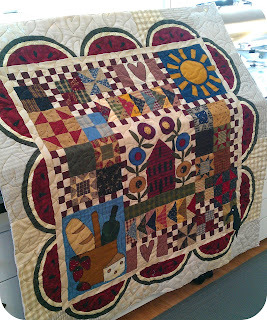 In the meantime, how about a few more client quilts that I recently finished. 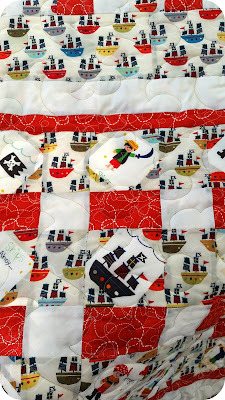 By Johanna for another new great-grandchild. 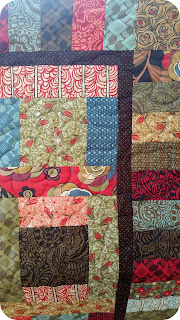 Love this one by Carole. 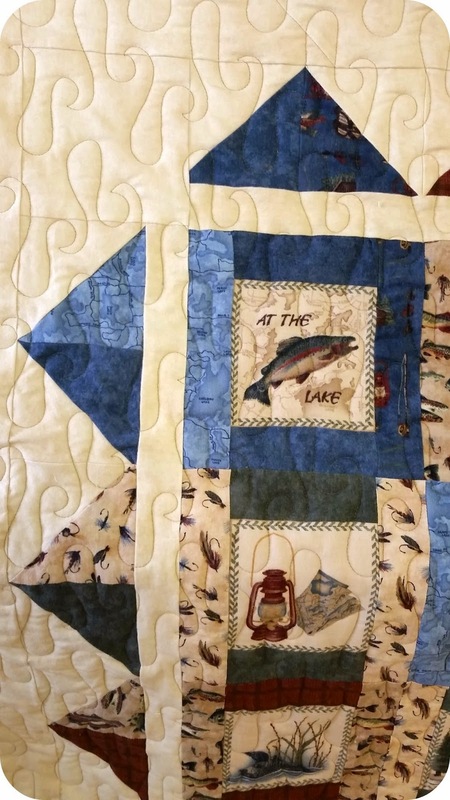 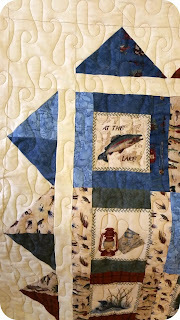 Love this pantograph with the fish fabrics. 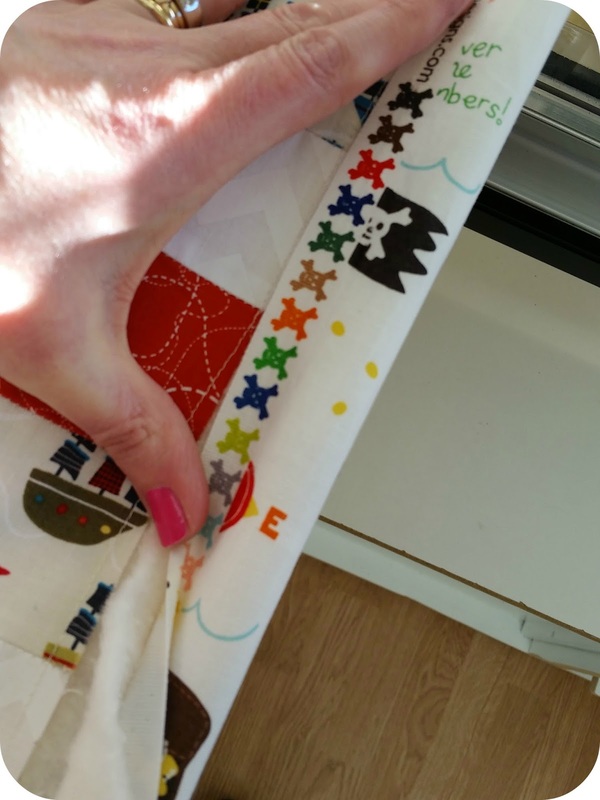 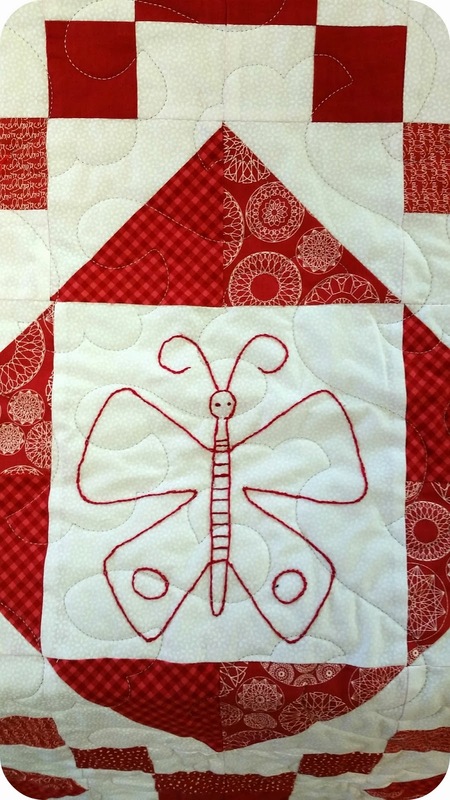 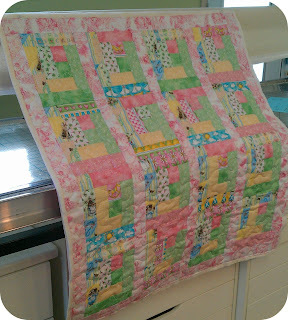 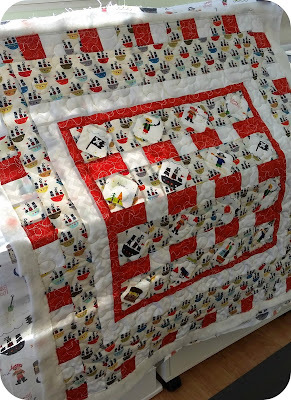 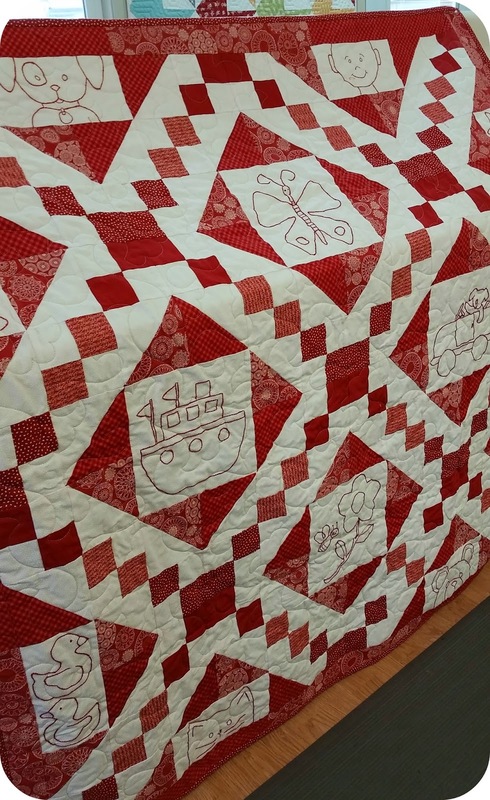 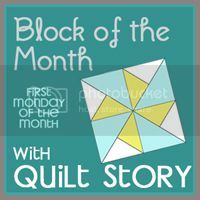 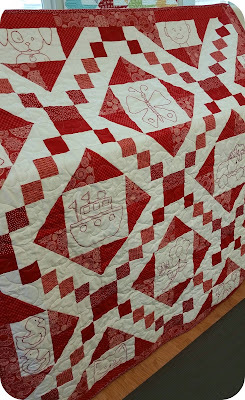 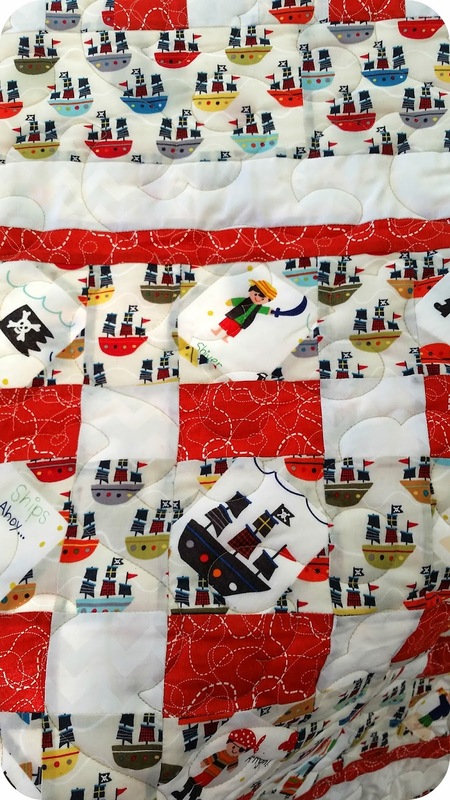 How fun is this baby quilt by Judy? 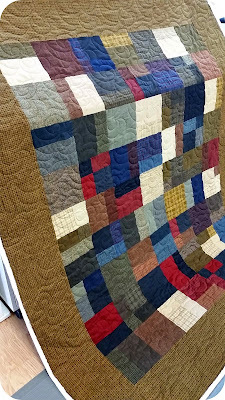 Check out the selvage; so fun! 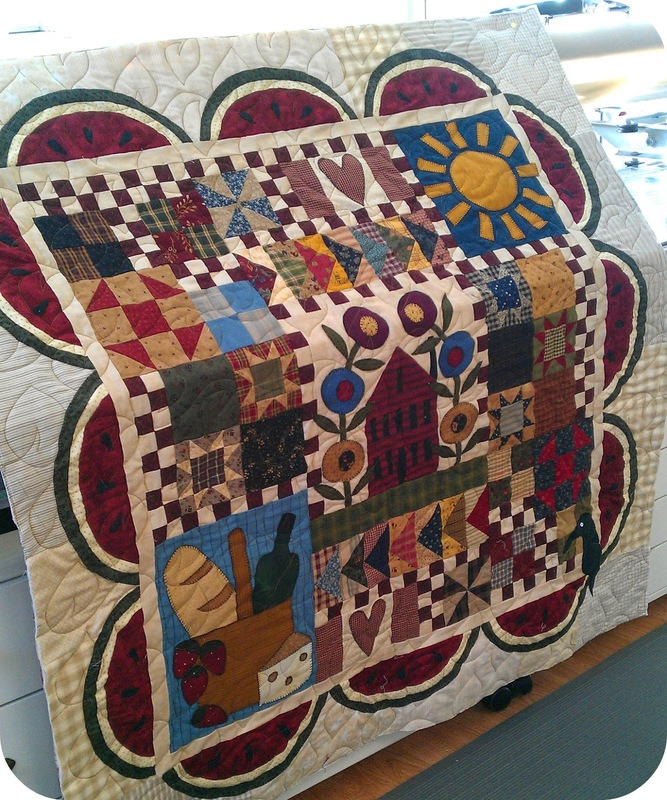 Lastly, this fabulous quilt by Elaine. 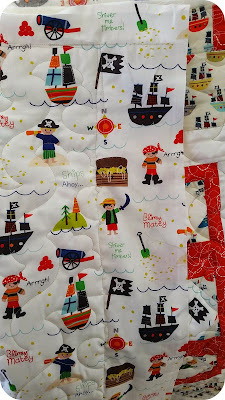 Absolutely loved this quilt! 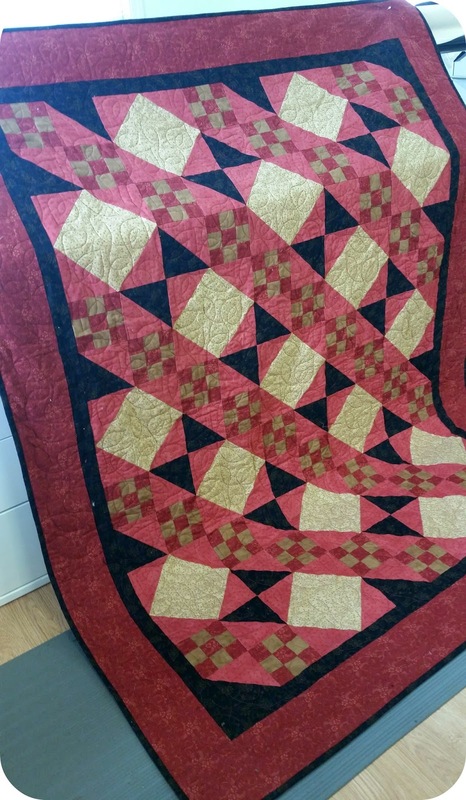 Elaine was lucky to get it back lol.